Broadcast over Irish national radio on February 19th and 23rd, 2018. Full feature in The Irish Examiner, Feb 6th 2018. By Ellie O’Byrne. READ FULL ARTICLE ONLINE AT THIS LINK! 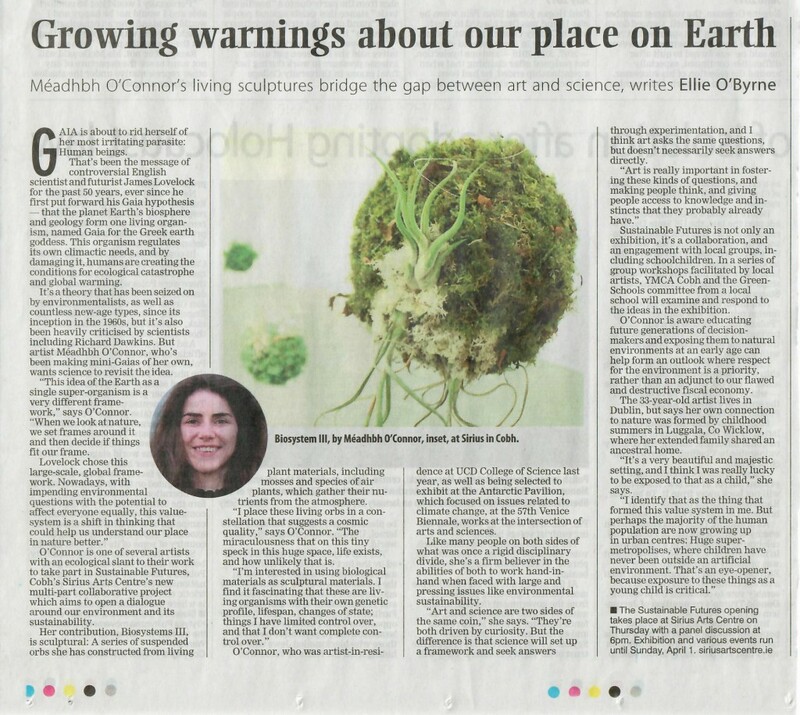 Meadhbh O’Connor, featured in The Irish Examiner. By Ellie O’Byrne. 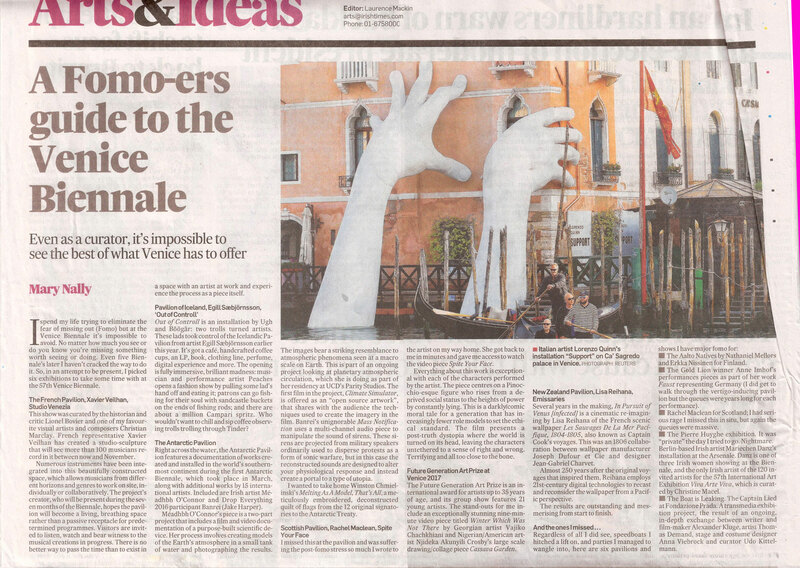 Review of work at Antarctic Pavilion, 57th Venice Biennale of Art, The Irish Times, May 22nd 2017. Méadhbh O’Connor (Ireland) exhibiting work at the Antarctic Pavilion for the 57th Venice Biennale of Art. 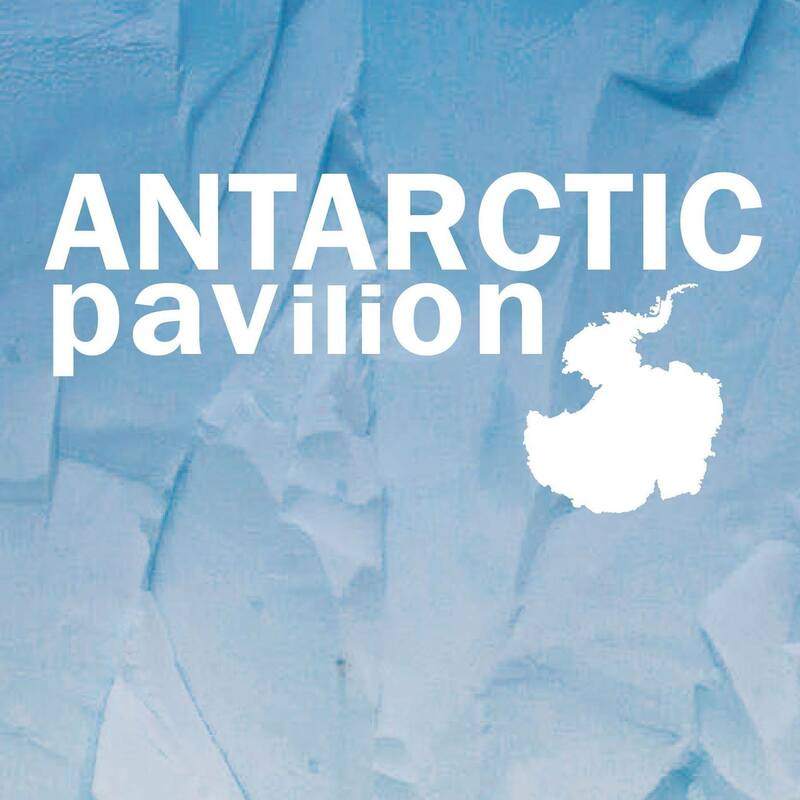 A group exhibition of selected artists from around the world can be viewed at the supranational Antarctic Pavilion for the 57th Venice Biennale, along with documentation from the first ever Antarctic Biennale which took place on the white continent earlier this year. May 12 – July 31 2017. Opening times May (12 – 6PM), June (2 – 6PM), July (2 – 6PM). Open daily except Tuesdays. Address: Dorsoduro 1410, 1411, 1412; Palazzo Molin a San Basegio, Fondamenta delle Zattere al Ponte Longo, Venezia, Italia. 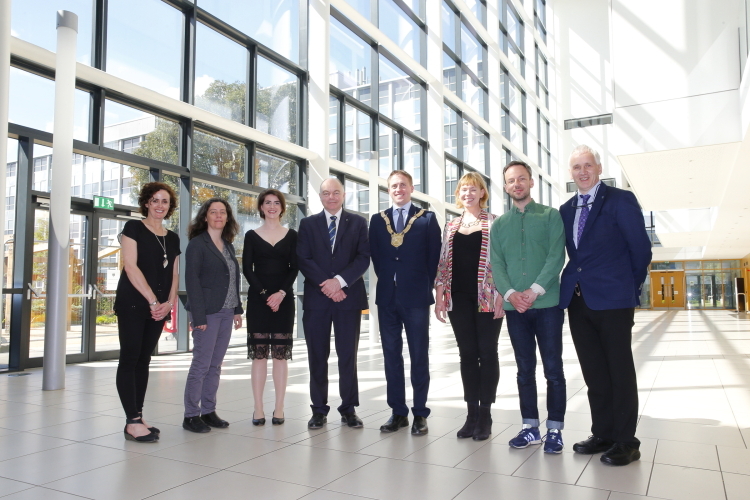 22nd May 2017 – UCD, Dublin – Pictured at the O’Brien Centre for Science at UCD where a partnership programme was announced between Dún Laoghaire-Rathdown County Council and UCD to support artists in residence, where, left to right, artist Méadhbh O’Connor; Cllr Cormac Devlin; Prof. Andrew Deeks, President UCD; artist David Beattie. 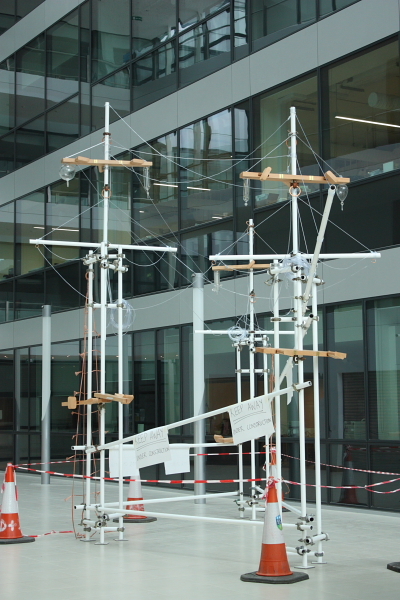 AWARDED ARTIST IN RESIDENCE AT UCD COLLEGE OF SCIENCE, 2017. LINK TO UCD PARITY STUDIOS UCD Parity Studios is delighted to welcome Méadhbh O’Connor back to the residency at UCD College of Science, following her first residency in 2013. Méadhbh will be corresponding closely with researchers in UCD School of Mathematics and Statistics, UCD School of Biology and Environmental Sciences (SBES) and UCD School of Chemistry towards the production of a film. This work, on the pressing topic of climate-change, will be exhibited at the forthcoming 57th Venice Biennale of Art 2017 (May – Nov 2017). 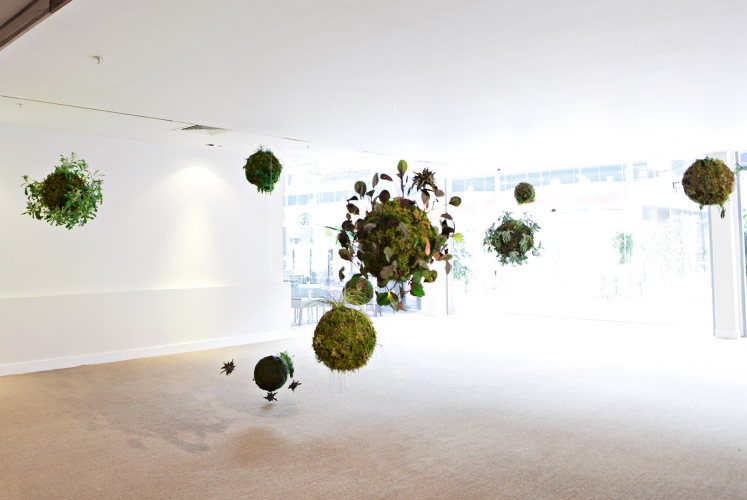 Méadhbh O’Connor, born 1984, is an Irish artist who works at the conjunction of art, science and environmentalism. Over the years she has steadily formed a consistent art practice in which she works closely with scientists and experts in other fields, particularly those with whom she shares concern for environmental topics. Many of her projects alternate between carefully constructed and engineered sculptural installation, and ephemeral work that is less controllable and predictable. 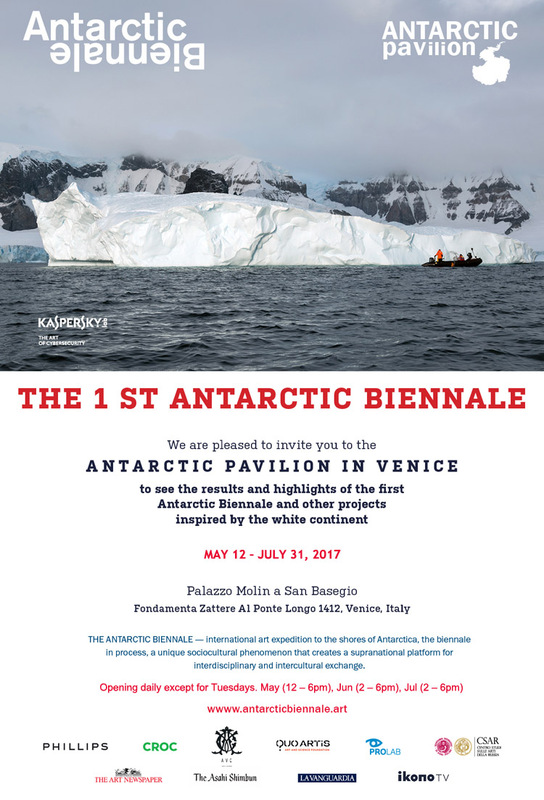 She has exhibited widely in Ireland and internationally, and most recently was selected by a distinguished international jury as one of fifteen artists to represent Antarctica at the experimental and environmentally-conscious, supranational Antarctic Pavilion at the forthcoming 57th Venice Biennale of Art, 2017, the oldest and most prestigious international art exhibition in the world. This jury included Alexander Ponomarev, Hans-Ulrich Obrist, Hani Rashid, Sheikha Hoor al-Qasimi and Nadim Samman. Méadhbh also developed and delivers an elective undergraduate module at the College of Science which prepares young scientists to think socially and critically about their discipline, and introduce them to the growing international movement which sees increasing collaboration between the Creative Arts and Sciences at an experimental, educational and institutional level. 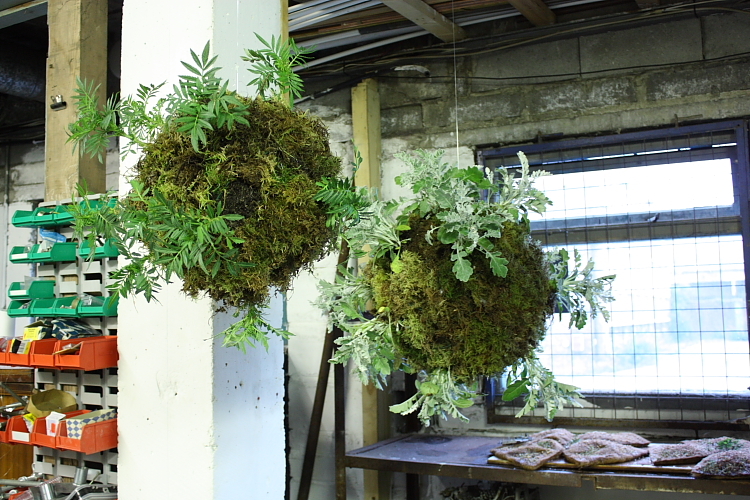 Biosystem is a solo exhibition by Méadhbh O’Connor and curated by Hazel Stone. 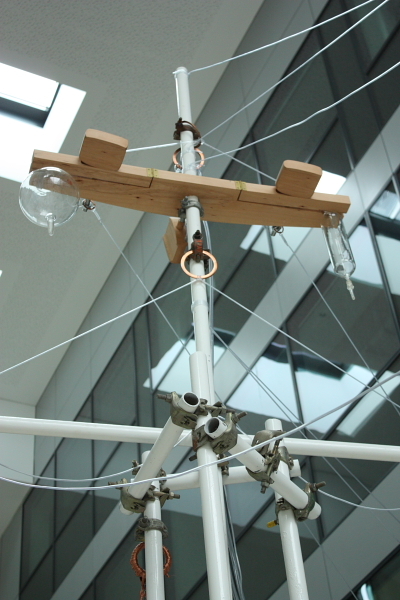 Méadhbh (pronounced ‘Mave’) is an Irish artist who works at the conjunction of art, science and environmentalism. 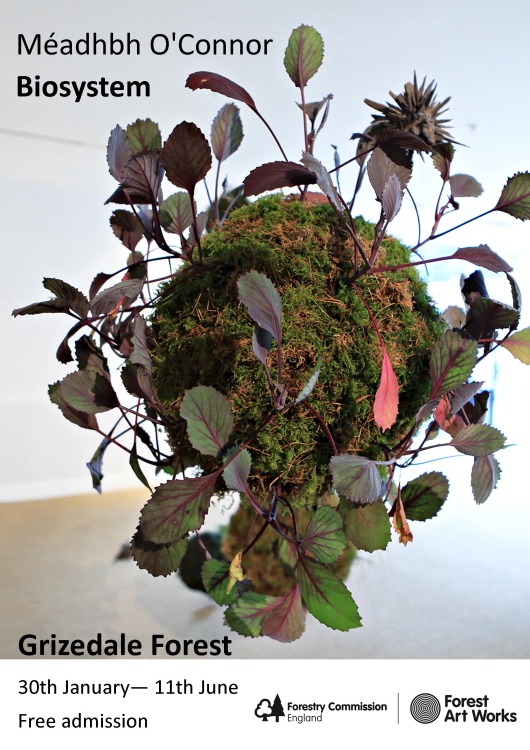 The exhibition brings together sculptural installation art that aims to draw attention to our place in a wider natural system that is both powerful and fragile. A constellation of ‘living orbs’, commissioned by Grizedale Sculpture, are presented as a walk-through gallery installation. The artwork loosely refers to the modern emphasis on and developments in environmental sciences, James Lovelock’s Gaia Hypothesis, graphic illustration in Sci-fi fantasy literature and film, horticultural design and many other references. 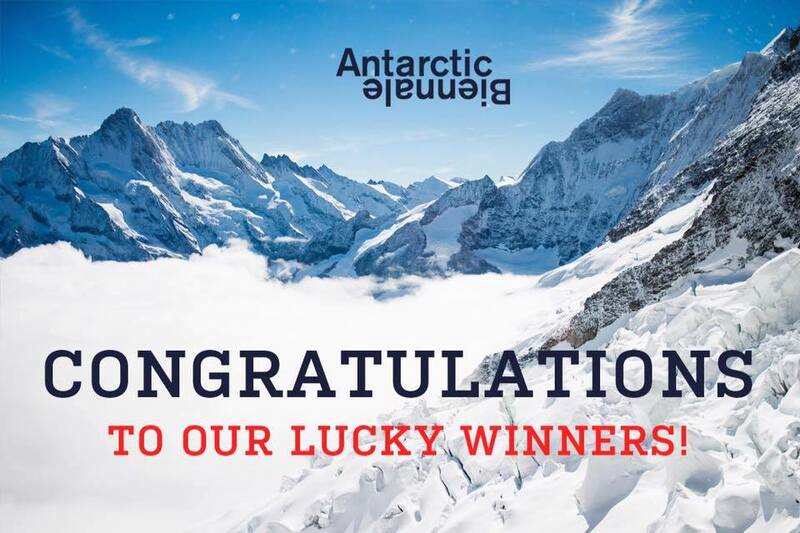 Dublin artist Méadhbh O’Connor has been selected as one of fifteen international artists to represent Antarctica in the supranational Antarctic Pavilion at the forthcoming 57th International Venice Biennale of Art 2017. 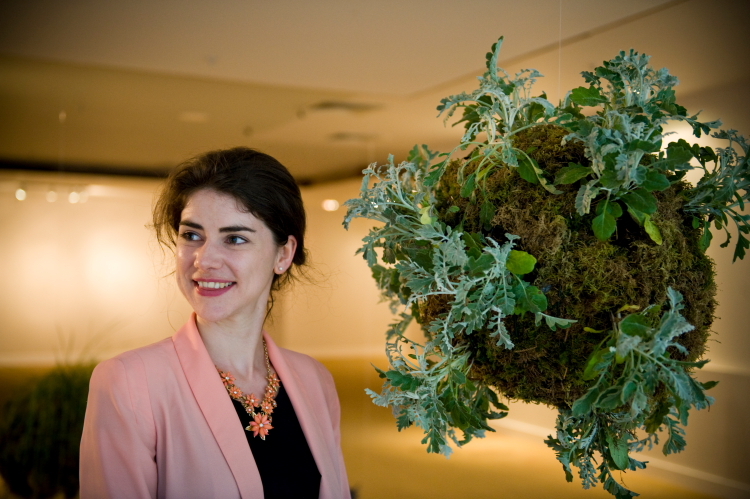 She, along with the other 15 finalists, were chosen among 500 applicants from 59 countries, by an independent jury comprising the Commissioner of the Antarctic Biennale, Alexander Ponomarev, and members of the Artistic Advisory Board – Hans-Ulrich Obrist, Hani Rashid, Sheikha Hoor al-Qasimi and Nadim Samman. Méadhbh is the sole Irish representative at this supranational pavilion, exhibiting work alongside artists from Japan, Germany, the United States, United Kingdom, Belgium, Canada, Iceland, France, Italy, Netherlands, Australia and Brazil. The exhibition is part of the ongoing Antarctic Biennale, an international socio-cultural phenomenon that uses artistic, scientific, and philosophic methodologies to address shared spaces such as Antarctica, the Ocean, and Outer Space. 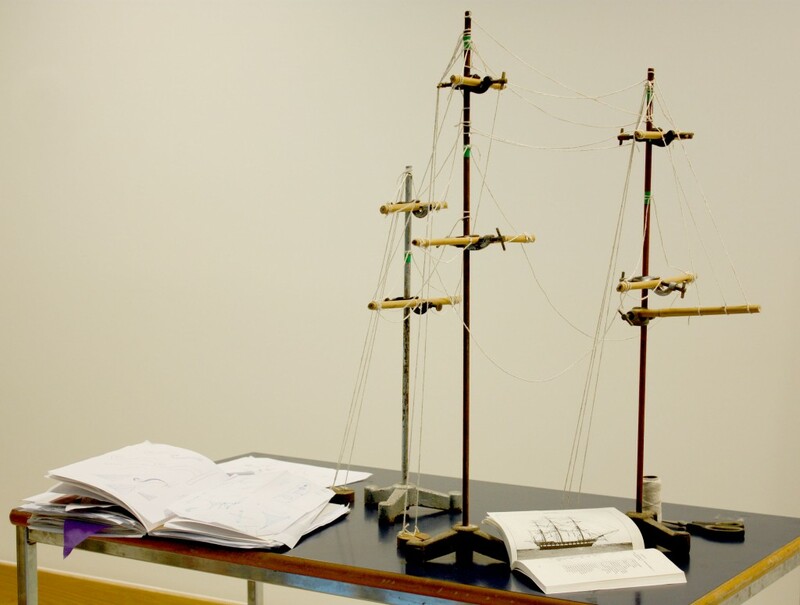 The project was developed by multidisciplinary artist, philosopher and nautical engineer Alexander Ponomarev. Exhibitions are scattered across the city in galleries, public spaces, special venues and disused buildings. There are also a range of different events happening throughout the city – live performances, film screenings, explorations and interventions, readings and discussions, music and stargazing. Other events: Screening of Aaaaaaaah!, feature film directed by Steve Oram, UK 2015, 79 minutes, starring Steve Oram, Toyah Willcox, Julian Rhind-Tutt and Noel Fielding | Public Lecture by Angus Cameron. 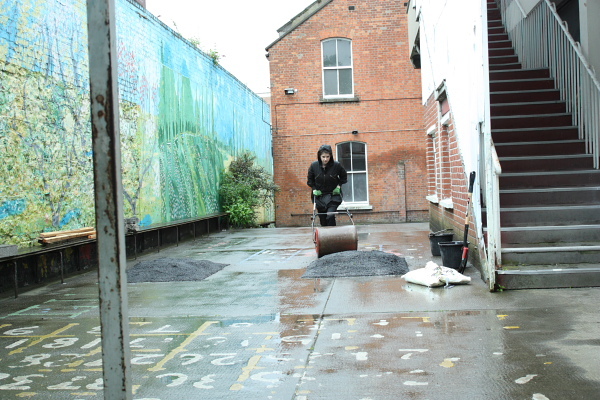 Booking is now also open for our T.Ed educational programme and bookings can be made by contacting Joanna directly at education@tulcafestival.com or on 0857472906 See www.tulcafestival.com for more details. 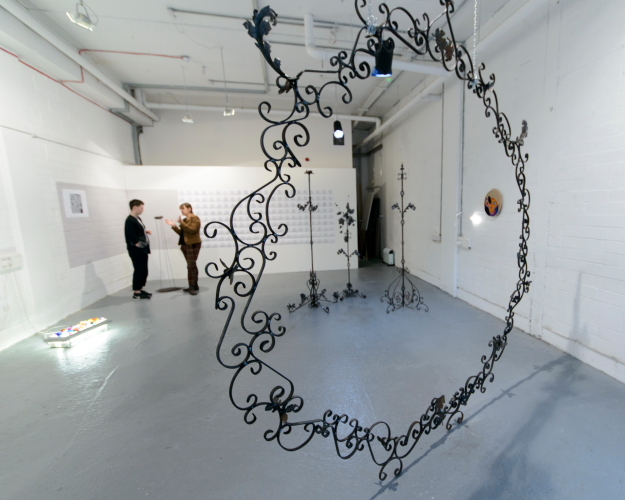 2039, two-person exhibition at Artbox, Dublin 1. 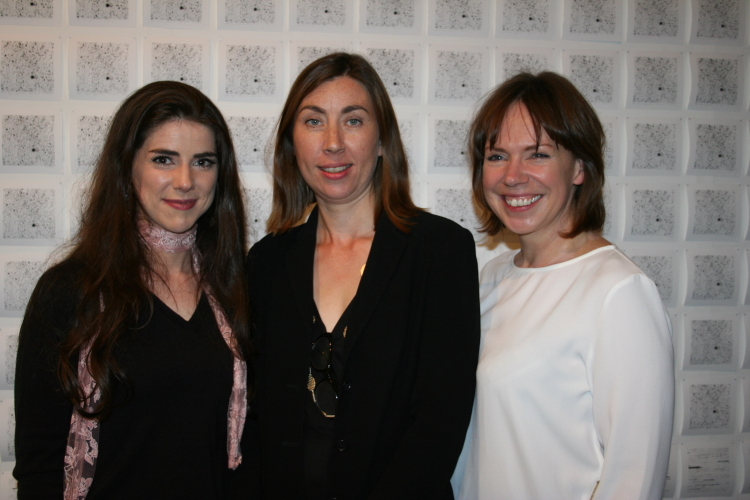 2039 brought together new work by artists Emer O Boyle and Méadhbh O’Connor. The exhibition explored the parallels that bind the pursuits of both artists and scientists, in a continuum of reciprocal influence. Early in the life of the solar system, dust and rock circling the sun were pulled together by gravity into planets. But Jupiter, the largest planet, kept a number of the pieces from coalescing. Instead, its gravity disrupted the formation process, leaving an array of unattached asteroids. The exhibition took its title from one of these asteroids orbiting the sun between Jupiter and Mars. It has been there since the dawn of our solar system. Only 23km in diameter, it travels alone, 600,000km from any other object in space. It travels in the Main Asteroid belt among billions – maybe even trillions of asteroids. On February 14th, 1974, it was observed and named. It’s called asteroid 2039 Payne Gaposchkin. In 1925, Cecilia Payne Gaposchkin discovered the composition of the stars. 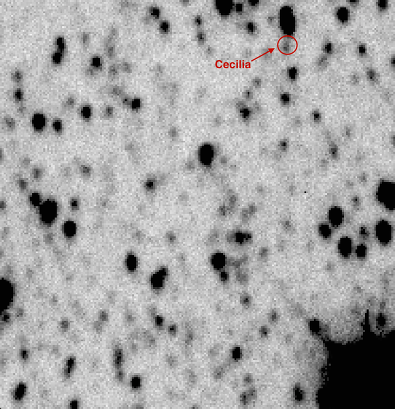 Her PhD work on reading stellar spectra underpins all modern astronomy. Her insufficiently recognised story, is the impetus for a new body of work by Emer O Boyle in drawing, video and installation. Since graduating with an MA in Sculpture from NCAD in 2007, Emer has worked collaboratively to draw out individual stories within collective contexts. Her projects have been funded by Create, Dublin Fringe Festival, EU Partnership for Peace Programme 2, Amnesty Voice Our Concern, EUFP7 funded project called GLORIA – Global Robotic Telescope Intelligent Array project and University College Dublin. She is co-founder with Prof. Lorraine Hanlon and director of UCD Parity Studios. For their contribution to 2039 she would like to thank UCD astrophysicists Dr. Antonio Martin-Carrillo for his detailed observations in identifying and imaging asteroid 2039, Prof. Lorraine Hanlon for the use of WATCHER, a robotic telescope she built in 2006, Dr. Dimitri Scholz, Director of Biological Imaging, Conway Institute, UCD, for electron microscopy imaging of a poppy seed and Dr. Julian Menuge, UCD Geological Sciences for the loan of a meteorite which crashed into Arizona 49,000 years ago. 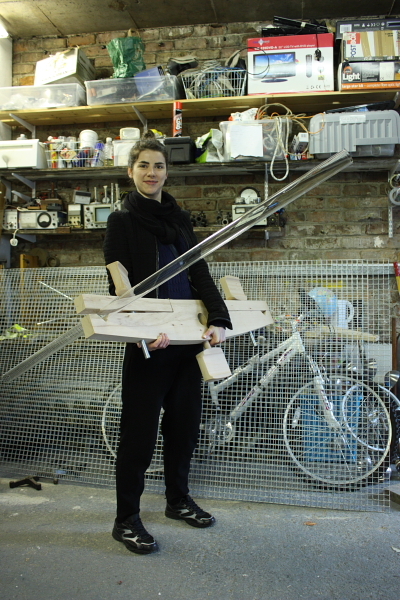 Méadhbh O’Connor produces large-scale sculptural installations that mix handcrafted objects, engineered constructions and ephemeral materials. Her projects are all, whether directly or indirectly, propelled by her interest in science. For 2039 at ArtBox, Méadhbh explores the role of fiction as a domain in which complex and seemingly unlikely ideas can be processed through the imagination. Here she creates a world which combines Baroque and Gothic Revival styles, the scientific instrument, references to the astronomical, to chess, to the Sci-Fi subgenera of Steampunk and Planetary Romance; echoing tropes which persist in Science Fantasy today, often serving as elaborate backdrops to alternative worlds. Recent exhibitions and awards include Welcome Disturbances, The LAB, Dublin, 2015; Sculpture Workshop Award, Fire Station, 2015; Unknown Shores (solo exhibition), O’Brien Centre for Science, UCD, 2014; UCD Science Artists In Residence Award, 2013; powers + roots, Pallas PP/S, Dublin, 2013. This project was curated by ArtBox Director Dr. Hilary Murray. ‘Portal’, wrought iron, 2.4m outside diameter, by Meadhbh O’Connor, 2015. Photo: Vincent Hoban. Meadhbh O’Connor, Dr Hilary Murray, Emer O Boyle. Organised as part of the Welcome Disturbances exhibition programme of events, Pathways Towards Sustainability. A Collective Conversation, was a panel discussion that mapped the ways in which individuals working in different fields are driving and implementing change towards a more environmentally sustainable future. The issue of sustainability spans science, politics, policy development, society, culture, industry and many other areas of human interest. In light of this, for this event representatives from science, environmental policy development, arts practice and ENGOs were invited to share their perspectives and experiences on how they are attending, in their own unique ways, to this central topic. The intention is to capture a picture of the work being carried out by these different agents independently of each other, in order to achieve similar goals in preserving a functioning biosphere for the enjoyment of future generations. 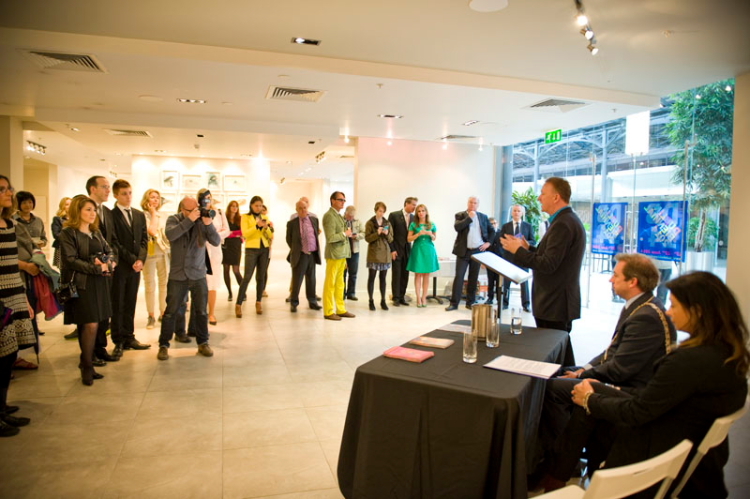 The event was a partnership between UCD Art In Science and Dublin City Council The LAB. Dublin City Council, The LAB. Sofie Loscher, Siobhán McDonald, Méadhbh O’Connor & David Stalling. 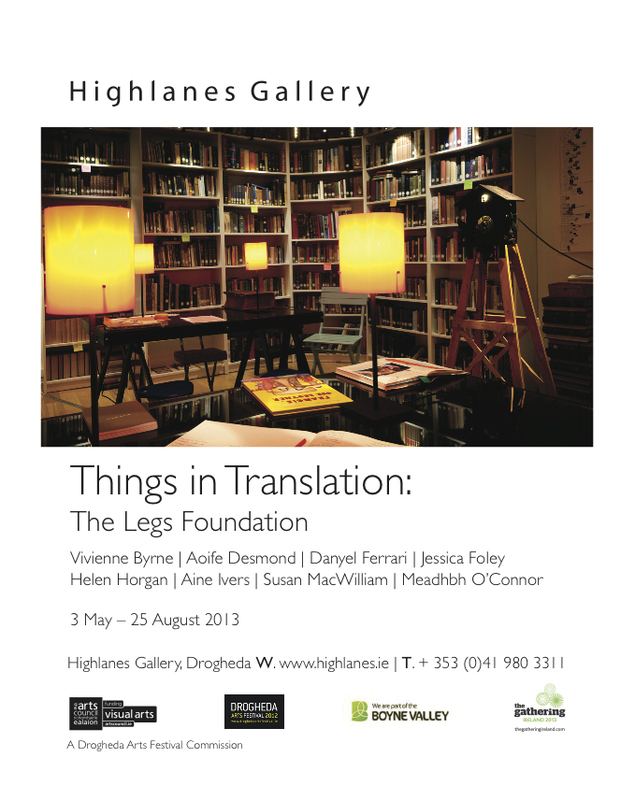 Curated by Sheena Barrett & Emer O Boyle. Opening Thursday January 29th 6-8pm. The exhibition will run from Jan 30 – April 11. 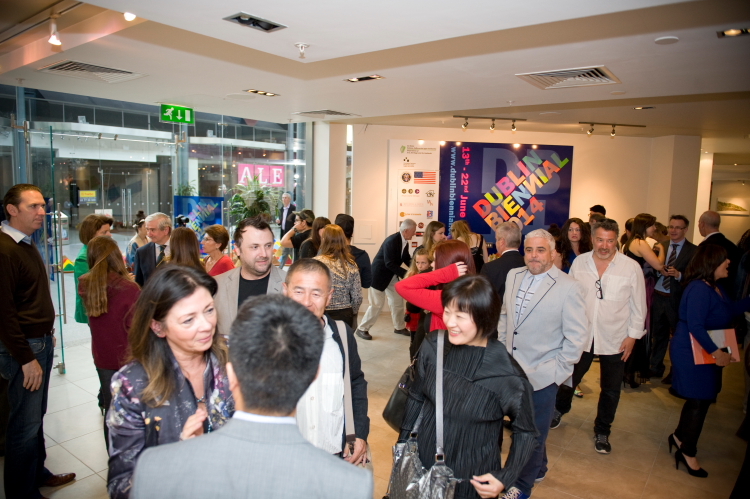 At the Official Opening of the Dublin Biennial, 2014. Image: Copyright Natalie Lim. 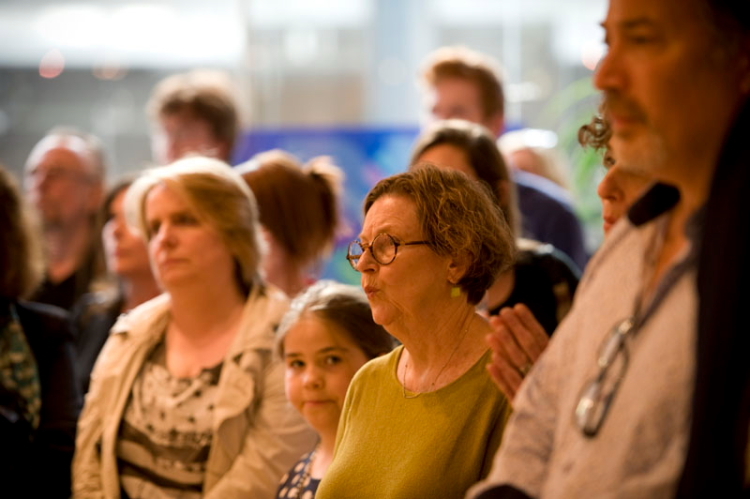 Audience members at the Official Opening of the Dublin Biennial 2014. Copyright: Natalie Lim. 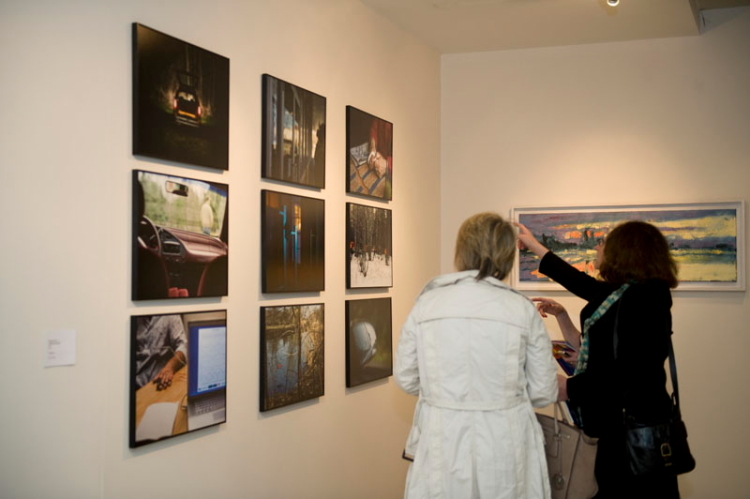 Audience members take in the artworks at Dublin Biennial 2014. Copyright: Natalie Lim. 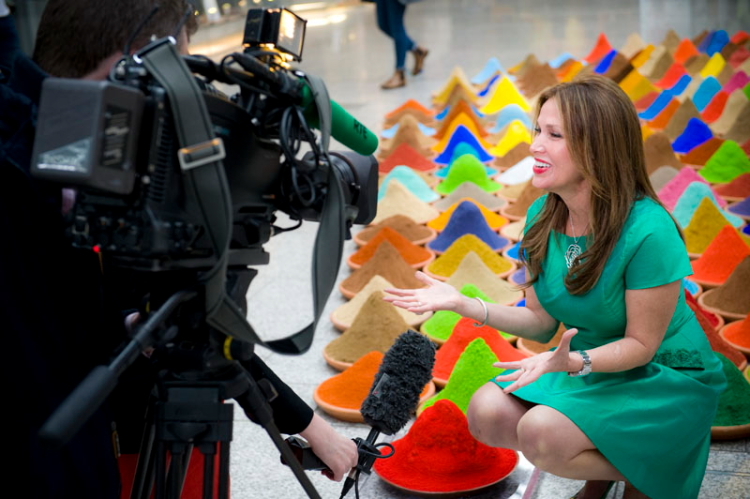 Sonia Falcone speaks to RTE Six One News. 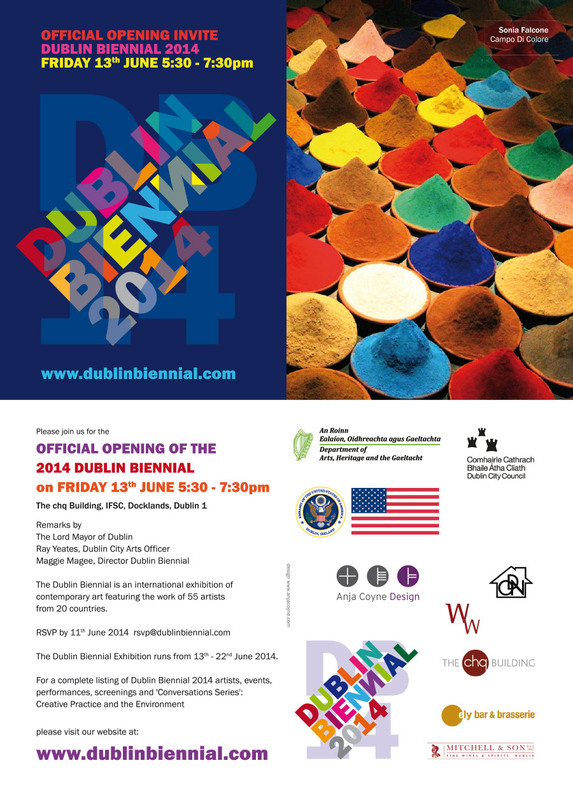 Dublin Biennial 2014. Image: Copyright Natalie Lim 2014. Portrait photo of artist Méadhbh O’Connor at Dublin Biennial 2014. Copyright: Natalie Lim 2014. ‘Biosphere II’, 2014. By Méadhbh O’Connor and commissioned by Dublin Biennial 2014. Photo: David Orr. 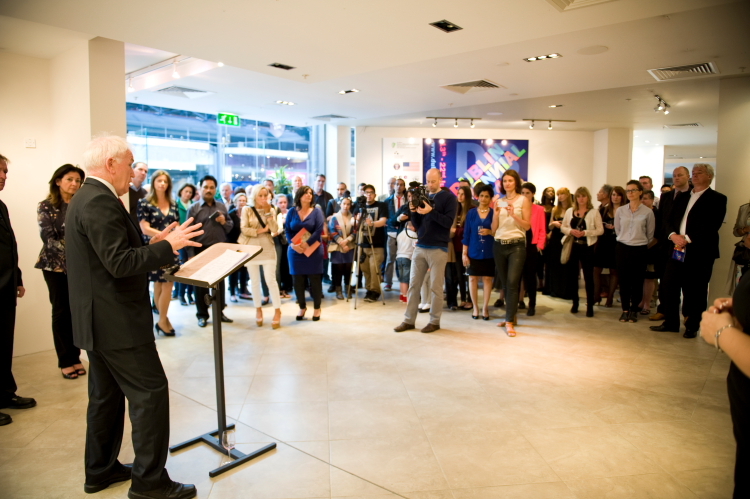 Minister Jimmy Deenihan states his support of Dublin Biennial 2014. At the DB14 Artists’ Launch. ––––––––––––––––––––––––––––––––––––––––––––––––––––––––––––––––––––––––––––––––––––––––––––––––––––––––––––––––––––––––––––––––––––––––––––– APRIL 2014. 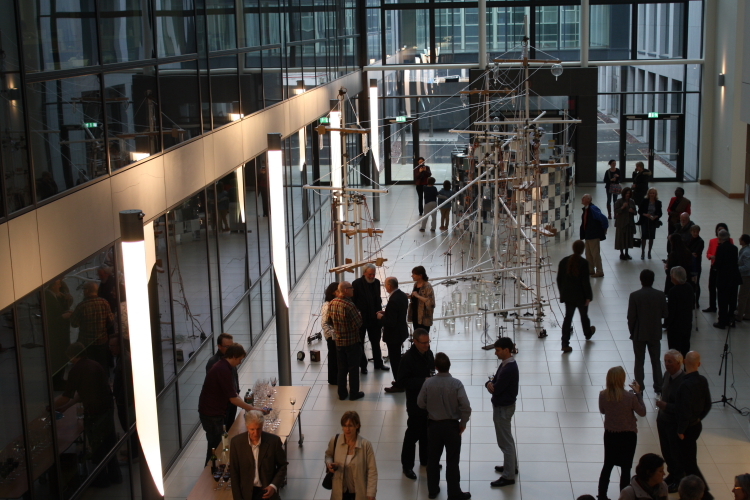 At the preview of ‘Unknown Shores’, solo exhibition in the UCD O’Brien Centre for Science, Dublin, IRE. 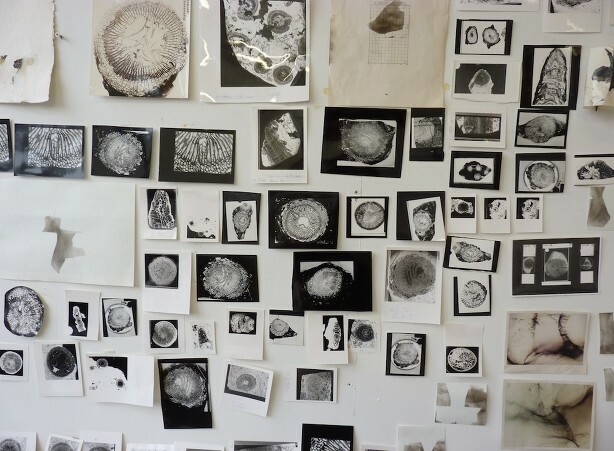 UCD Art in Science is delighted to present Unknown Shores, a solo exhibition by UCD Science Artist in Residence Méadhbh O’Connor. 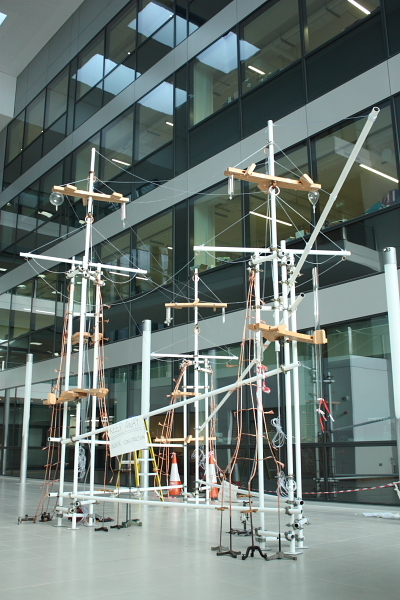 Méadhbh has constructed an ambitious, large scale sculptural installation on-site at UCD Science. The project was directly inspired by her close work with Dr. Emmanuel Reynaud and by the extraordinary voyage he undertook studying the world’s oceans with Tara Expeditions, a non-profit organisation dedicated to high-level scientific research missions. Following a year spent by Méadhbh at UCD Science working closely with Emmanuel Reynaud and other scientists, Unknown Shores aims to capture the spirit of scientific inquiry as a continuous and unbounded human journey. 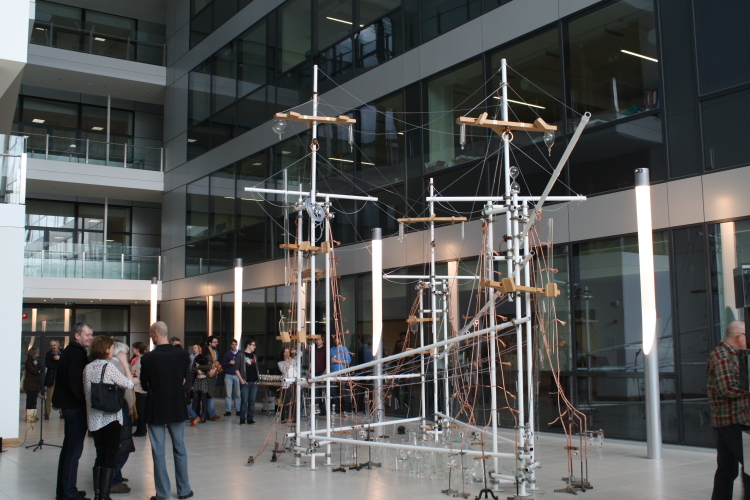 Méadhbh built this artwork using laboratory equipment salvaged from UCD Science, steel, copper, tubing, netting, nautical objects, wood and other elements. 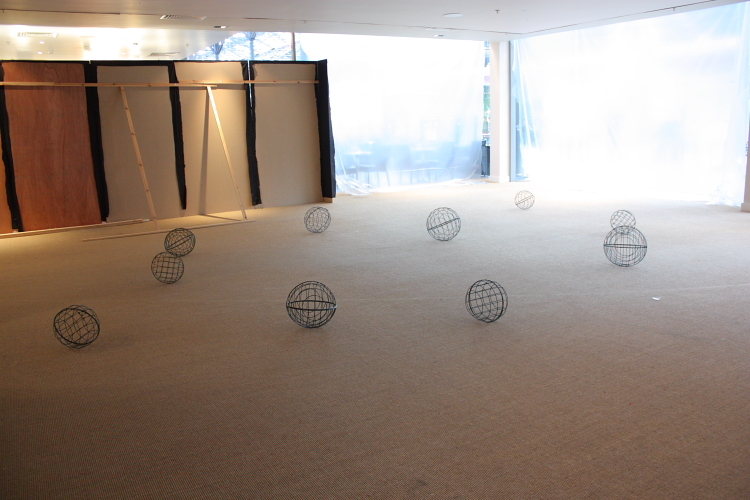 Documentation of the installation of the solo show, Unknown Shores, by Méadhbh O’Connor. Méadhbh O’Connor ‘rigging the ship’. An original wooden laboratory clamp is shown on the underside of the larger clamp. 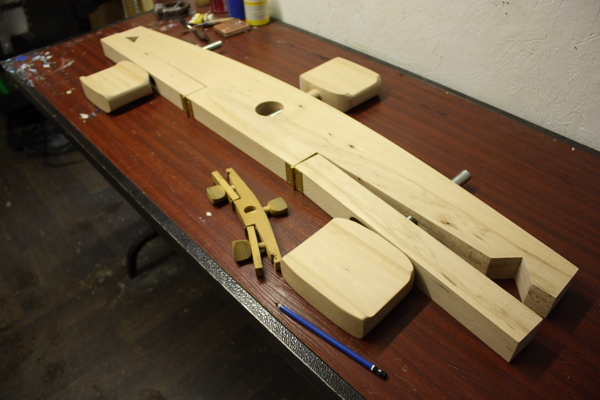 The large clamps were designed and crafted for this project. 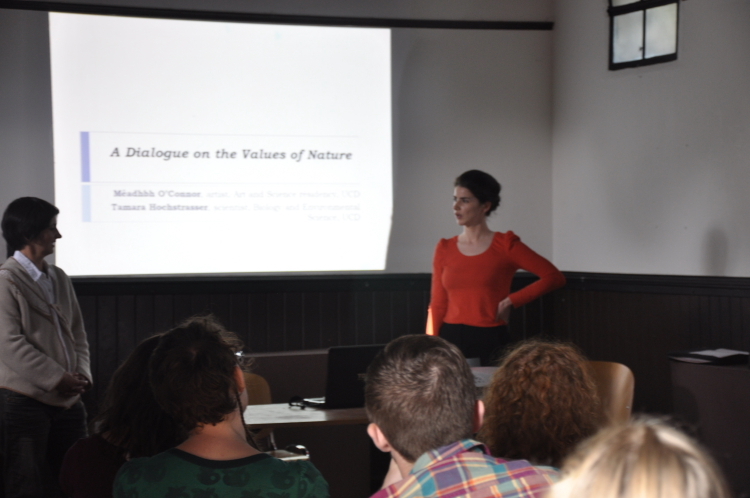 Tamara Hochstrasser and Méadhbh O’Connor deliver a public talk titled ‘A Dialogue on the Values of Nature’. 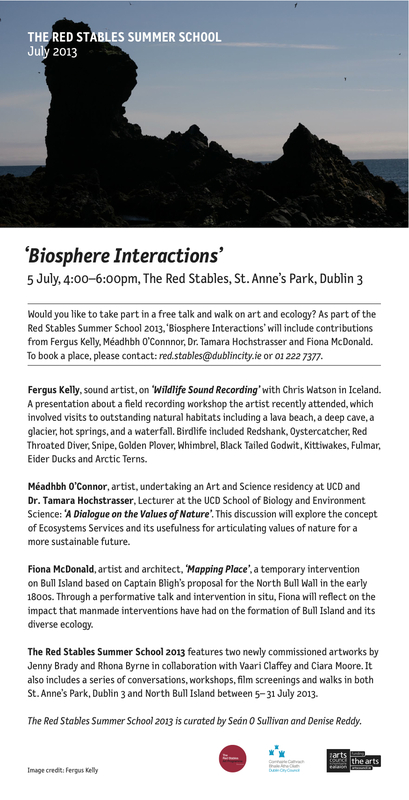 At the Red Stabled Art and Ecology Summer School, July 2013. Dates: Thursday May 23rd – Saturday June 1st. Preview: Wednesday 22nd May, 6–8pm. All welcome. powerS + √ roots is the second exhibition informed by a longstanding critical dialogue between artists Dave Madigan and Méadhbh O’Connor. 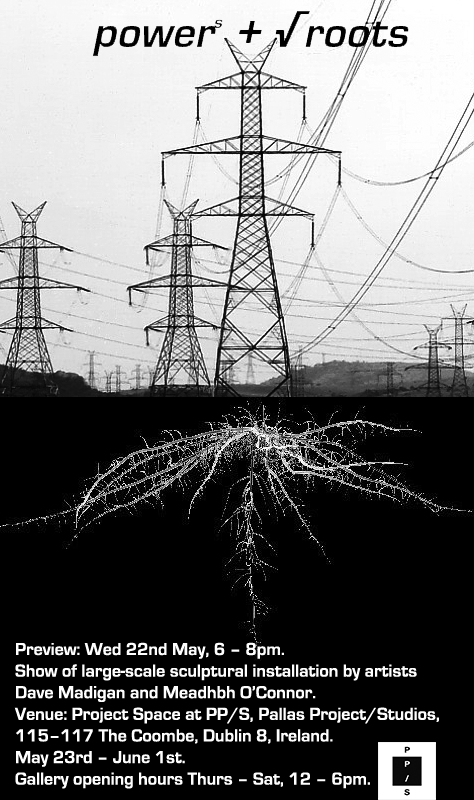 Here, the two artists explore their interests in networks and energy systems, both natural and man-made. 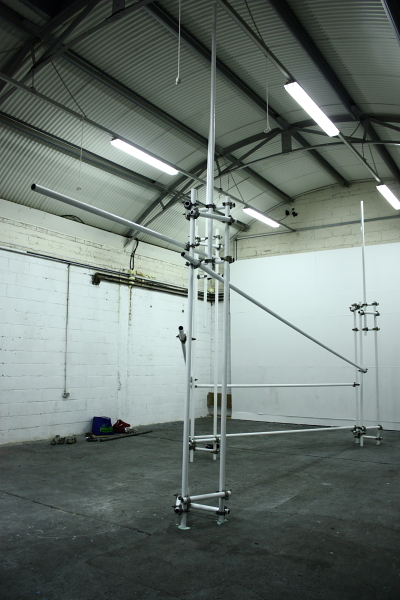 Both artists will present large-scale sculptural installations using very different approaches. 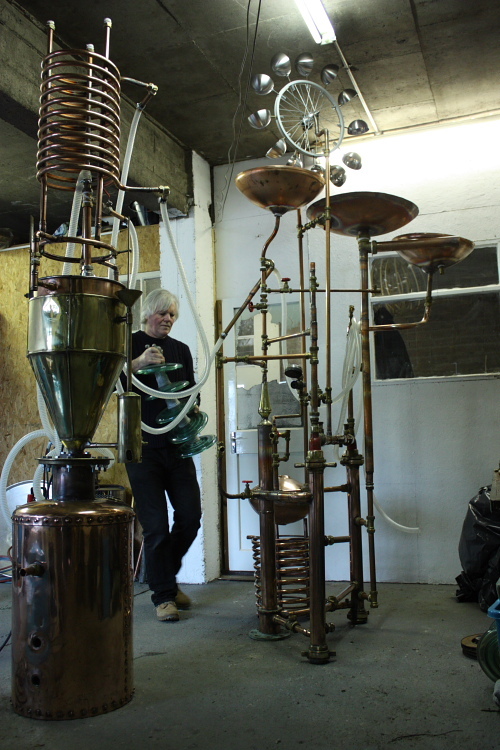 These include a working, handmade, ‘marvellous machine’ that is a crossover between a still, steam boiler, water wheel and wind turbine; an installation comprising the charred remains of spent organic and carbon-based fuel; an installation of living weeds growing through asphalt; and more. 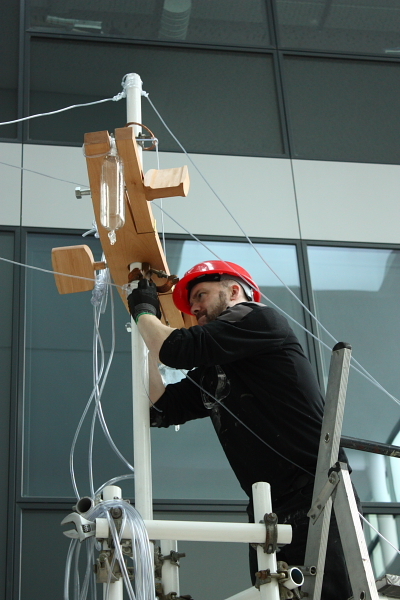 By deliberately adopting different strategies, both artists seek to examine the legacy of energy production and trace changing attitudes associated with different periods of technological development, from the earliest discoveries of electricity in the mid-nineteenth century to the growing, consequent environmental anxieties of today which are emerging as a defining cultural concern of the 21st century. Madigan and O’Connor have elected to present individual works in reference to these different points in history, with the aim to expose both disparities and correlations, and ultimate causal relationship between the two. Dave Madigan’s practice is centred on both the liberating and failing consequences of the technological age. 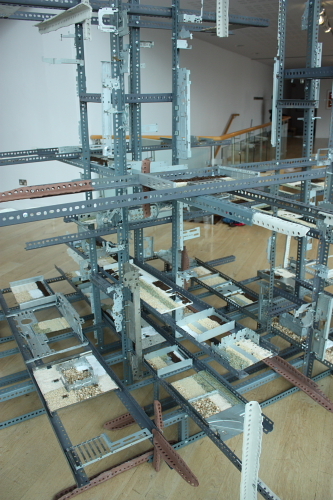 Reworking electronic and industrial detritus, he employs large-scale sculpture and installation, which primarily involves metal fabrication and heavy construction. Méadhbh O’Connor works at the conjunction of art and science. She works through sculpture, installation and photography, and has progressively followed a path toward working with scientists and experts in other fields. 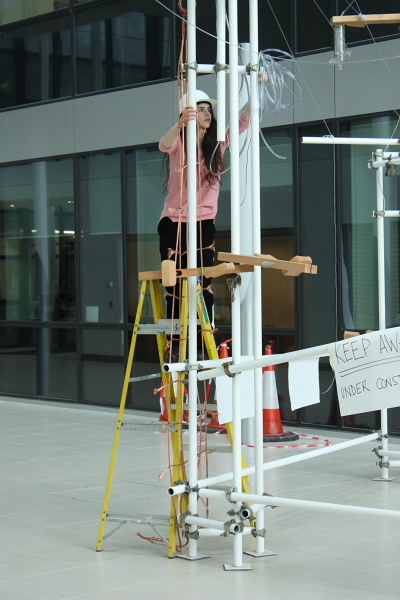 She is presently artist-in-residence in the UCD College of Science. Both artists studied together in I.A.D.T. Dublin, where they graduated with first-class honours in 2009. They have since forged both individually and collaboratively-driven practices, informed by their shared interest in the implications of the techno-scientific age. Project Space at PP/S The Project Space at PP/S is an open, accessible and versatile space that bridges studio and exhibition practice. It features throughout the year, internally-curated projects, talks and events, alongside external, artist-initiated projects, workshops, performances or large-scale studio use. 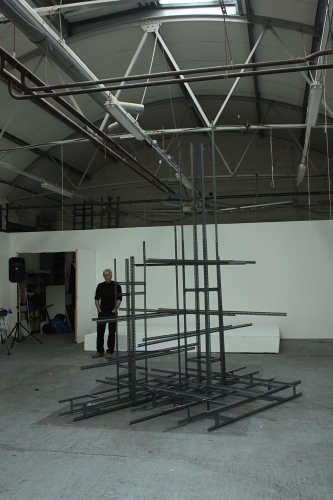 The Project Space is intended to allow access for individuals and groups working at a high standard within contemporary visual art and like-minded fields, to experiment with presenting their work and engage with audiences; to work in the context of a space with a dedicated tradition – ongoing over a seventeen year period – towards do-it-yourself initiatives and the professional development of emerging artists.